I picked Snapshot up in a Humble Bundle not so long ago, and, depressingly, like a lot of games that come from bundles, it got lost in Steam. I didn’t know much about it and I didn’t really have any drive to find out, until Jasmine launched it and sank into an afternoon of Retro Affects first real title. 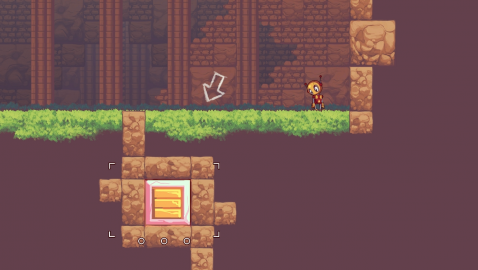 You play in an abandoned world as a small, lonely robot who needs a charmed camera to take ‘snapshots’ of objects and move them around to help solve the puzzle and get you to the end of the map. There are stars and secrets to collect along the way, either by running through them or snapping them with your camera. The controls are very intuitive, the usual WASD for moving and a cursor for snapping the photos through your shutter. The movement is very fast and responsive, but if your mouse’s sensitivity is up too high, you might end up with a bit of an awkward game to play, since the shutter also controls the position of the overall view. The movement controls are also fully remappable, which is always good news. Content wise you’re looking at a very solid game. Fun and interesting puzzles will tax your brain. There isn’t a menu which allows you to choose levels, simply one big lobby where the levels are in the trees; this gives a much more immersive feel than choosing a level from a list like, say, Toki Tori. The main mechanics of Snapshot revolve around capturing an object with your camera so that it no longer physically exists in the level, and the puzzles challenge you to re-place the objects in order to complete the level. Much of the time it will be fairly obvious where to place objects, however, thought, planning and an understanding of physics are often required, and this adds trickiness to some levels. 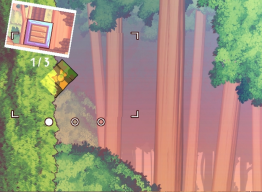 Scattered around the maps are secrets that you must snap, which reduces the amount of available space for photos, again making the game harder. This adds a real replayability for completionists. You’re looking at a game that will take you about 6 hours to beat but you can sink a lot of time into it if you’re a completionist, however, I don’t feel Snapshot has enough pull to keep you playing for too long. The graphics have a really distinctive style which is worth checking out. Retro Affect claim to get their inspiration from where they work in Meredith, New Hampshire. If you have never seen it, it’s a place that is worthy of more than an image search. 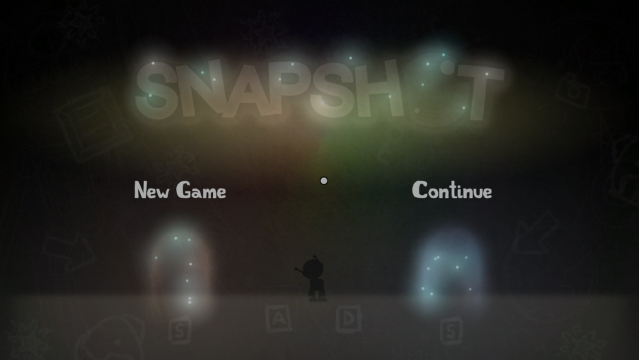 Although Snapshot has an indie 2D feel to it, you’ve got to feel that they did justice to their inspiration. I mean, we have seen a lot of horror games flat out fail at forests. It’s also good to note the wide range of resolutions offered by Snapshot; ranging from 320 x 200 all the way up to 1366 x 768, on my system. 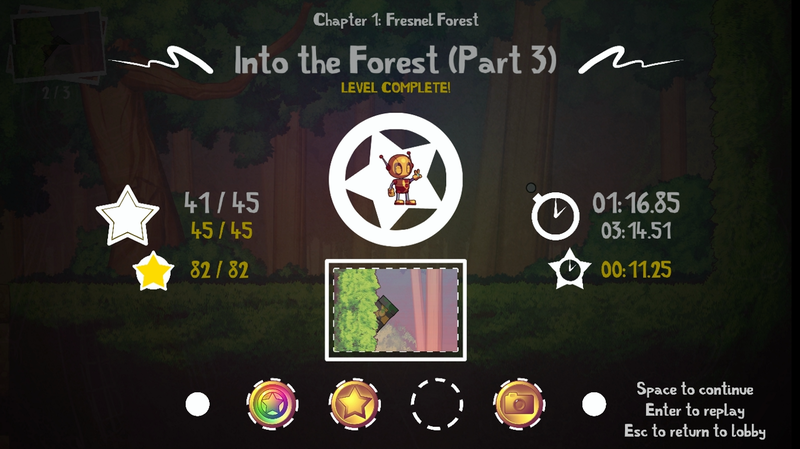 The game has a delicate soundtrack that really puts you in the magical forest with your character. The menu music contrasts this very well, and retro arcade noises will greet you as you go through the menu which is a nice feeling to relive. 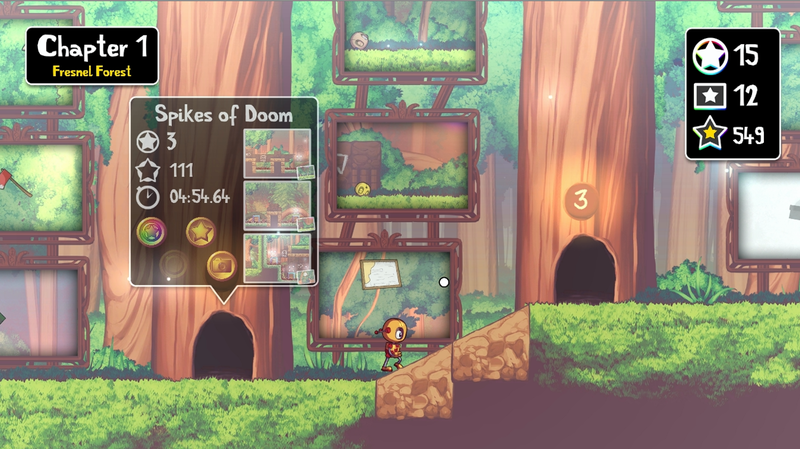 The in-game sound effects, however, are nothing special, and you may find yourself slightly annoyed if you’re spamming the jump button, but with separate sliders for sound effects and music you can solve this problem. The game is fun. It’s fun to pass away a little bit of time if you’re waiting to do something else. Short levels allow for maximum gratitude, but you will probably find tedium setting in after a prolonged session, and maybe a bit of frustration too. It has a fast learning curve and throws you pretty much into the full experience, but after a few spells for passing time, you probably won’t touch it again for a while. A retro style game, with a great inspiration and an innovative mechanic, Snapshot can be fun to play. 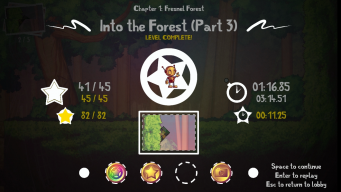 The setting is pleasing on the eye and the music drags you into the game but after a few puzzles you’ll get the picture and launch something else. If you’re not a fan of puzzle platformers, this won’t be the one that wins you over. At £6.99 you are better off waiting for a sale before you give this a try. The soundtrack is good, but not good enough to warrant its £3.99 price tag.